New kids on the block look to take charge // With Alonso, Webber and Button aging fast, who will step into their shoes in the coming years? We are a week into pre-season already, so I thought that it was about time that I woke up from my winter hibernation and get back to work. I came up with the idea of a few light-hearted top 5s and this week, I'm taking a look at the best potential drivers - younger drivers who will become the World Champions of tomorrow if and when the old guard are forced out of the top teams. A quick note, although I rate Romain Grosjean as a driver, I haven't included him here; partly because he must focus on fixing his first lap issues before he is considered a top driver but also because I see him as ineligible in this category having been in what was ultimately, a race winning car last year. Right let's get down to business. This is the wildcard in this group as Razia had barely turned a wheel in an F1 car before preseason testing, but his pace is undeniable. Razia mounted a serious challenge for the GP2 title last year and, had Davide Valsecchi not dominated the early rounds because he had raced at the tracks before in GP2 Asia, he'd have strolled to the coveted feeder series' crown. The Brazilian is the best of the next crop that the series has to offer and given a half decent car, he has the ability to get great results. Obviously that isn’t on the cards, as he’ll drive for Marussia in 2013. His main goal must be to survive the first year as Marussia has a tendency to not keep drivers for longer than a year. If he can manage this, he could be the next thing, the next in a long line of Brazilians to be the hopes of a nation, and I think that given the opportunity, he could deliver their first world title since the late Ayrton Senna. Bottas is another unknown quantity but he does have considerably more experience in a Formula One car than Razia, and the experience he has had has been very impressive. He was consistently the fastest Williams in Free Practice 1 last year when he was in the car, beating team leader Pastor Maldonado. 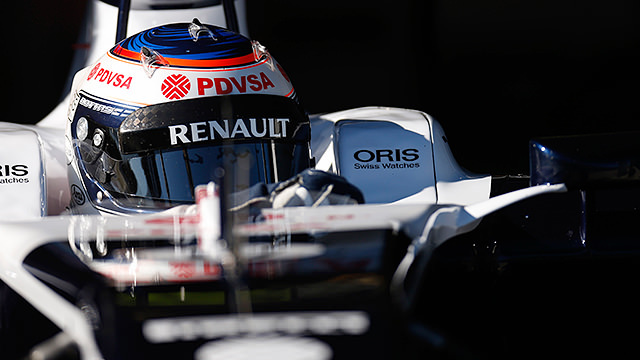 Indeed his pace was so good, he was been expected to drive for Williams in 2013 since early in the 2012 season. Bottas looks like the real deal in an F1 car, and has been fast tracked through the feeder series to get here. But this raises another issue, this is a guy who hasn’t even driven in GP2; although we have seen that he has incredible pace, we have yet to see him in wheel to wheel combat in a competitive series; could this lack of experience cost him and turn him into an accident prone rookie? To me, Bottas could be the best on this list, but, like Razia, with no F1 race experience to go on, it is hard to predict exactly how his career will pan out, especially with the huge step up from all other formulas to F1. An extra point for those who argue that Williams had a race win in 2013 (this putting him in the same category as Grosjean), Williams had one race where they had true race winning pace, whereas Lotus were consistently fighting for podiums at least. Pérez was without doubt the hot property of 2012. After a strong but not spectacular rookie campaign in 2011, he was placed on the outer ring of the radar. But just two races into 2012 he was placed squarely in the centre of the radar as target number one when he finished second in tricky wet conditions in Malaysia, fighting Fernando Alonso for victory. Suddenly it was well noted that he was a Ferrari protégé, especially with Felipe Massa faltering. Pérez continued to show great pace through the year, excelling with tyre conservation, and scoring two more podiums at Montreal and Monza, the latter a mesmerising drive where he was in a different race to everyone else, but couldn't quite bridge the gap to Lewis Hamilton. But there are a couple of black marks on Pérez's record. He clearly had the fastest car in Malaysia, lapping seconds faster than Fernando Alonso at times, but couldn't get the job done. It would worry me now that he's at McLaren that the moment may be a bit too big for him, at least to start, and he may become the deer in the headlights. More worryingly, Pérez struggled after he had signed for McLaren. He hasn't scored a point since he signed his big deal with McLaren, while teammate Kamui Kobayashi scored 25 points, including a maiden podium in Japan and three points finishes. This could further prove that the stage may be just too big for him. There's no doubting Pérez's talent but there are flaws, such as his qualifying performance. My view is that Ferrari were wrong to cut ties with him but McLaren were wrong to sign him, at least at this stage in his career. I came into 2012 thinking of Di Resta as an average driver who was having his reputation bolstered simply because he was British. But even with a similar second season to his debut year, I have become more impressed with the Scot. A large chunk of my change in opinion is the realisation that Di Resta is regularly kept on a tight leash by the team who are trying to scrape for a few points when they are available. Far too often, Di Resta has been put on a strategy that requires a lot of tyre conservation in the hope that they may get lucky with a safety car or a mixed up race. Unfortunately, this stops Di Resta from showing what he can really do in a Formula 1 car when let loose. The reality is that Di Resta is a very consistent driver who will get exactly what the car is capable of getting. I would liken him to Rubens Barrichello at Ferrari, scoring good results every race but not breaking the bank. 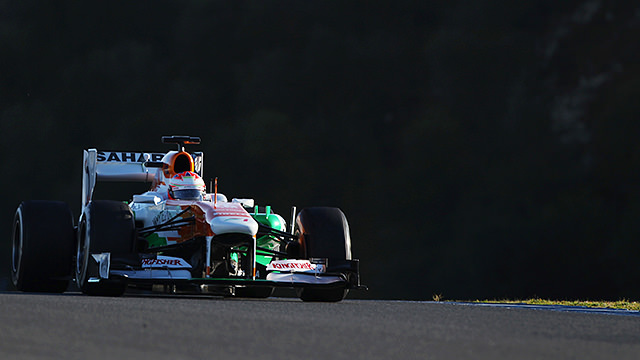 But given the right opportunity in a good car, Di Resta could be a sensation. He has the temperament that is required in a driver in order to mount a calculated title challenge but has also shown flashes of great speed, out-qualifying what his Force India deserved by a distance. One factor not on Di Resta's side is his age. Although he'll only turn 27 early in the season, he's at an age where he must start making inroads on the top teams if he is not to be seen as a career midfielder. That said, his talent is unquestioned; had Force India created a car capable of fighting at the front of the midfield pack, I get the feeling that we may have seen more from this Flying Scotsman. This is a guy that I really rate. This is the man that McLaren should have signed to replace Lewis Hamilton and when Sergio Pérez took that seat, Ferrari should have snapped him up immediately to be tutored under Fernando Alonso. Unfortunately for him, it took a little time to settle in at Force India and he only really started to shine late in the season when the ink was drying on contracts at the top teams. It's a shame for him because I think he deserves his seat at the top table of the F1 season and could do some real damage in a car like the 2012 Ferrari or Lotus. Now he has moved on to Sauber he cannot afford to start slow as he has done at Williams and Force India but he should thrive with the opportunity to lead a team for the first time. With more and more uncertainty around Force India’s future, his move could be a good one, but now at a team with a tiny budget, he could get bogged down in the midfield if development stalls. Hülkenberg was the man on form late in 2012; he had a great drive in Texas, showing his race craft in an epic battle with Kimi Räikkönen, eventually finishing eighth, and then put up a great fight for what could have been his maiden victory in the final round in Brazil. His hopes were eventually dashed by a couple of spins caused by faulty downshifts but he had done enough to provide a watershed moment. 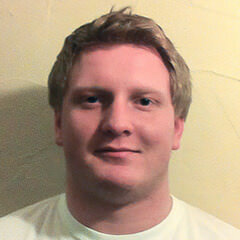 This, for me is the man to watch in 2013 and onwards. All five men go into 2013 with a lot to prove for different reasons. The sad fact is that there simply isn't the space for them to all succeed in F1, with the majority of the top seats already taken for the next few years. The biggest casualty may well be between Paul di Resta and Nico Hülkenberg because there is a direct comparison between them. The one thing that's clear is that the man sitting third on this list; Sergio Pérez had better perform because the other four men are very worthy of a chance in a top team. Next article Speed Kings: Who rules over one lap?